EEV: What is significant, this enlightening article was reported by the BBC. – More, because Mao is the George Washington figure, the founder of the People’s Republic of China, the great unifier of his ancient, far-flung and multifarious people. 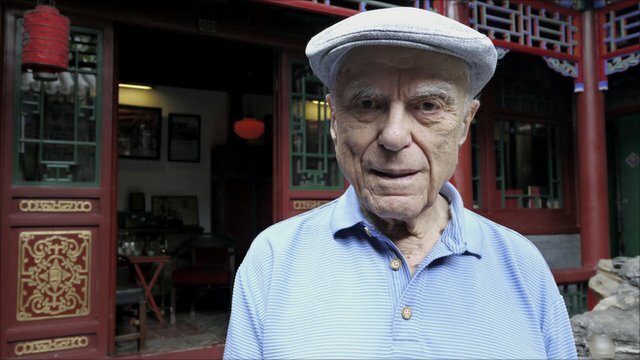 US citizen Sidney Rittenberg spent 35 years in China at a time of momentous upheaval, personally befriending Mao Zedong and other veteran Chinese revolutionary leaders as they seized power from the Kuomintang from 1945 onwards. Here he reveals his unique perspective on the civil war, the early days of Communism and Mao’s philosophy. 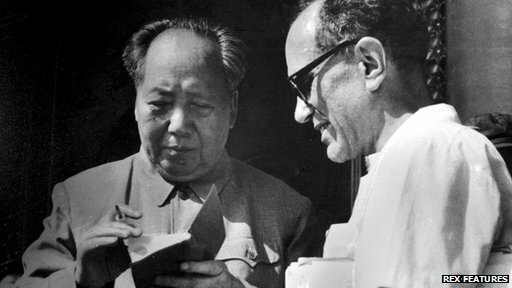 Like everything else in China, Mao’s role today is a study in paradox. He is both more and less than the ginormous portrait that dominates the centre of Beijing’s Tiananmen Square – and which will not be coming down anytime soon. More, because Mao is the George Washington figure, the founder of the People’s Republic of China, the great unifier of his ancient, far-flung and multifarious people. Less, because Chinese youth today, including young Party members, typically know nothing about his writings, his doctrine, his great successes and monstrous errors. Xi Jinping and his new leading team have warned that Soviet-style de-Maoification could lead to great confusion and weakening of the present regime – a regime whose stability they consider essential for leading China down the thorny path of reform. At the same time, they make no bones about the catastrophic latter-day Maoist adventures like the “Great Leap Forward” of the late 1950s and the (anti-) Cultural Revolution from 1966 to 1976. Those megalomaniacal social experiments cost tens of millions of innocent lives. Unlike Stalin, Mao sentenced no-one and certainly did not intend to create a terrible famine. But he did know full well that he was engaged in huge social experiments, which disrupted the lives of multitudes – and that he himself was not sure what the outcome would be. He confessed as much to the left-wing American writer Anna Louise Strong in 1958, when she was about to write a book acclaiming Mao’s Great Leap Forward. “Wait another five years before you write it,” he told her, explaining that he was not sure yet what the outcome would be.